Making the best valentine box ever for her favorite holiday is Ann Estelle’s newest school project. It will have glitter, lace, feathers, and even wheels! There’s just one thing that Ann Estelle has forgotten — what could that be? 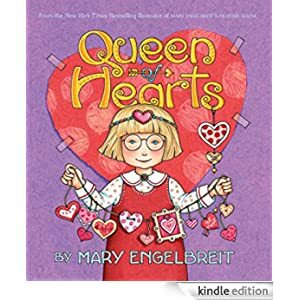 Valentine’s Day will be your favorite holiday, too, when you enjoy this delightful tale with Ann Estelle and her friends as lovingly imagined by best-selling artist Mary Engelbreit. This Kindle Fire book is for ages 4-8 and is selling for just 99 cents today.